A Spooktacular Halloween Mystery for Kids! Ghosts, goblins and witches, oh my! Dressing up and going out with your friends on Halloween night is lots of fun. Learning to stay safe is also important. 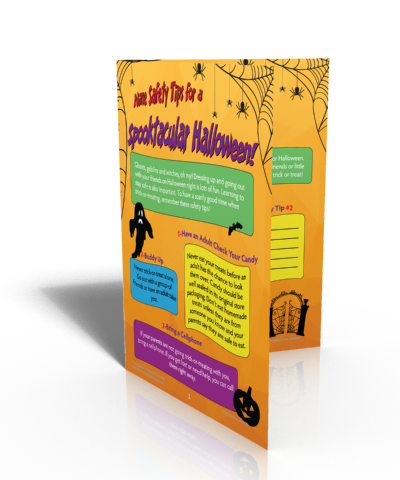 To have a scarily good time when trick-or-treating, remember these safety tips! Never eat your treats before an adult has the chance to look them over. Candy should be well sealed in its original store packaging. Don’t eat homemade treats unless they are from someone you know and your parents say they are safe to eat. Never trick-or-treat alone. Go out with a group of friends or have an adult take you. If your parents are not going trick-or-treating with you, bring a cellphone. If you get lost or need help, you can call them right away. 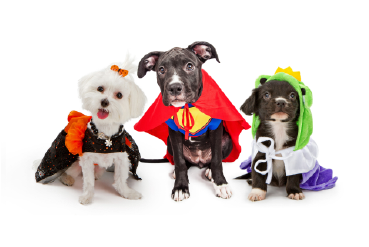 Make sure your costume does not drag on the ground and make you trip and fall. Only wear a mask that is the right size and fits well so that you can see properly at all times. Like this article? Want to use it in the classroom? It's free for registered members. Login and download it here. Walk on the sidewalk when possible. Don’t crisscross the street. It’s best to trick-or-treat on one side of the street, then cross safely and do the other side. Make sure drivers can see you when you’re out trick-or-treating. Once it’s dark outside, a costume that is white or brightly colored is best. You can also carry a white bag. 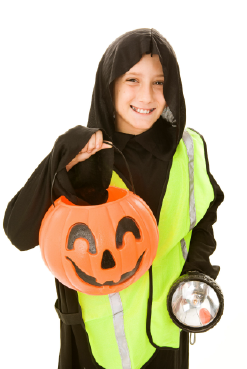 Add bicycle reflectors or glow in the dark tape to your costume so people can see you more easily. Carry a flashlight or some glow sticks as part of your costume. The easier you are to see, the safer you will be. Be careful near jack-o’-lanterns and candles and never step over them. Remember, if your clothing ever catches on fire, you must stop, drop and roll. 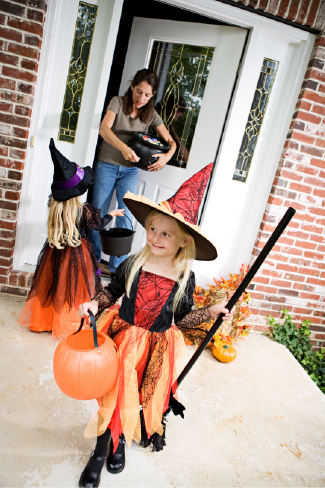 If someone invites you into their home to get your candy, say “no thank-you.” Never go inside a stranger’s house. Staying safe on Halloween night is the best way to have fun. Have a wonderfully frightening time! Happy Halloween!